Electrical system problems can be a cause for concern, especially when your car won’t start. At Babcock Auto Care in Rochester, MN, our ASE certified technicians are the experts when it comes to electrical system diagnosis and repair for all makes and models of vehicles. If you’re experiencing a problem with your car starting or staying on, lights, or other electrical components, we will perform a free battery and charging system test to determine if the issue is the battery, the charging system, or another component. We will figure out the exact cause of the issue and get you back on the road quickly. Problems starting your vehicle can be caused by a dead battery or an issue with the starting and charging system. If your vehicle’s battery is dead, your car won’t start and you may notice that other parts of your vehicle aren’t working, such as the radio and power locks. The regular life of a battery is typically between 3-5 years, but can vary depending on your vehicle. A problem with your starting and charging system can prevent the battery from receiving the proper charge and will also prevent your car from starting. Our diagnostics will figure out where the issue is stemming from and which parts need to be replaced or repaired. Any of the issues above are signs of a battery, alternator, or starting system problem. A faulty alternator can cause your battery to die unexpectedly. 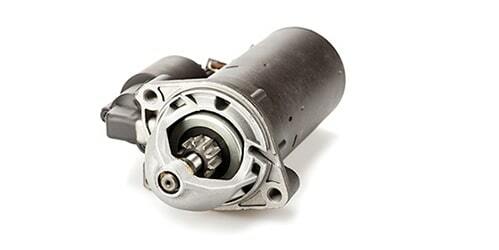 The alternator’s job is to recycle energy throughout your vehicle to help power your vehicle’s battery. A simple test at our shop can determine the issue and help us repair your vehicle quickly so you can get back on the road.